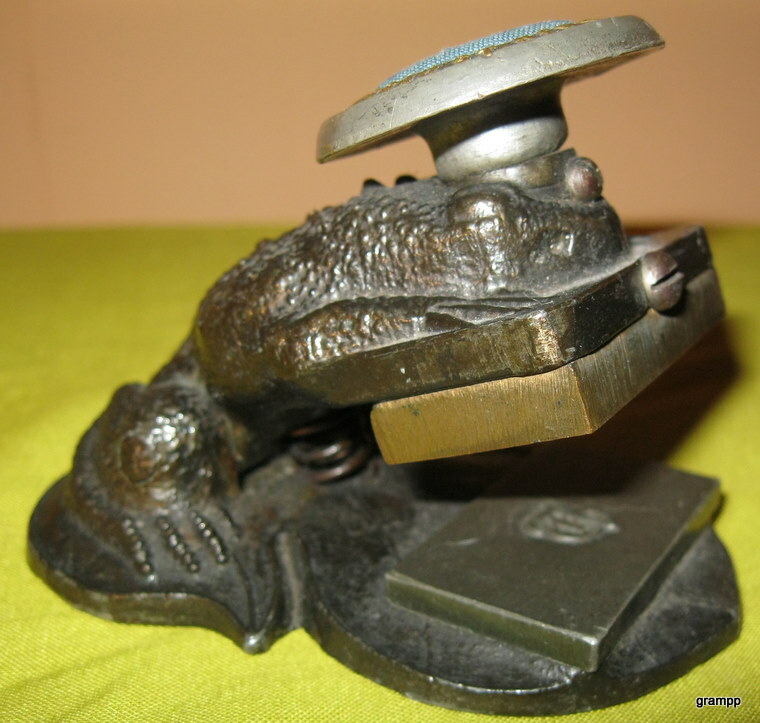 Toad presses were manufactured by Joseph H Merriam of Boston Mass. Merriam had two locations in Boston. 18 Brattle Sq was his engraving and die sinking business, 19 Brattle Sq was his seal press manufacturing business. The press shown is from his secondary location in New York City. This location was open for less than a year in 1866-67. The newly revised guide book shows six different varieties of this press.